It was a year of transition for the men’s basketball and football programs. Dave Leitao stepped down after four seasons as basketball coach and was replaced by Tony Bennett, the 2006-2007 Associated Press National Coach of the Year at Washington State. Al Groh (Com ’66) resigned after nine years as head football coach and was replaced by Mike London, who won the 2008 national championship in his first season as the University of Richmond’s coach. London had served as Groh’s defensive coordinator in 2006 and 2007, and recruiting coordinator and defensive line coach from 2001 to 2004. On the other end of the coaching-longevity spectrum, women’s basketball coach Debbie Ryan (Educ ’77) passed the 700-win mark in her 32nd year at Virginia. For former residents of some of the “New Dorms” along Alderman Road, only memories remain of their first-year homes. Dobie, Balz and Watson houses were torn down last summer, and they are being replaced by two six-story dorms. 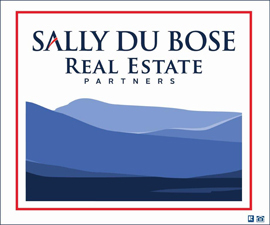 The 1960s-era residence houses—11 in all—will be eventually be razed to make way for seven larger buildings that will increase the number of rooms by 10 percent. New Dorms Are Coming Down Right Now! from UVA Magazine on Vimeo. Virginia’s baseball team enjoyed the best season in UVA history, reaching the College World Series for the first time. Coach Brian O’Connor, who led the Cavaliers to a 49-15-1 record, welcomes back nearly all of last year’s players to a team that enters the 2010 season ranked No. 3 nationally by Collegiate Baseball. Top Stories of 2009: College World Series from UVA Magazine on Vimeo. The dramatic new look of Pavilion X is actually a return to the building’s original appearance. The attic parapet has been re-created, the Chinese railings have been restored to their original design, height and position. Glossy white paint on columns has been removed, and they’ve been restored to their original, warm stone color, with a rough-textured finished. White paint is also gone from the wood trim and has been painted tan to match the “render” of the columns. “We’re going to see the real Jefferson design that disappeared and will now be reincarnated,” says Architect for the University David Neuman. These changes to Pavilion X could be a preview of what the rest of the Lawn might look like, pending approval of the broader project. Top Stories of 2009: Historic Restoration of Pavilion X from UVA Magazine on Vimeo. The newly admitted Class of 2013 is the most diverse and best qualified in the history of the University. The class was the result of a record pool of 21,839 applicants. Admission offers were made to 6,775 students, and 3,308 students accepted. Sixty-seven percent of first-year students are Virginians. Top Stories of 2009: Record Number of Applicants from UVA Magazine on Vimeo. Dominic Inglot (Com ’09) and Michael Shabaz (Col ’11) won the NCAA men’s tennis doubles championship in May. Seeded 12th entering the tournament, they became the first doubles team from the ACC to win the national title. Inglot was named the ACC Men’s Tennis Scholar-Athlete of the Year for the second consecutive year. The No. 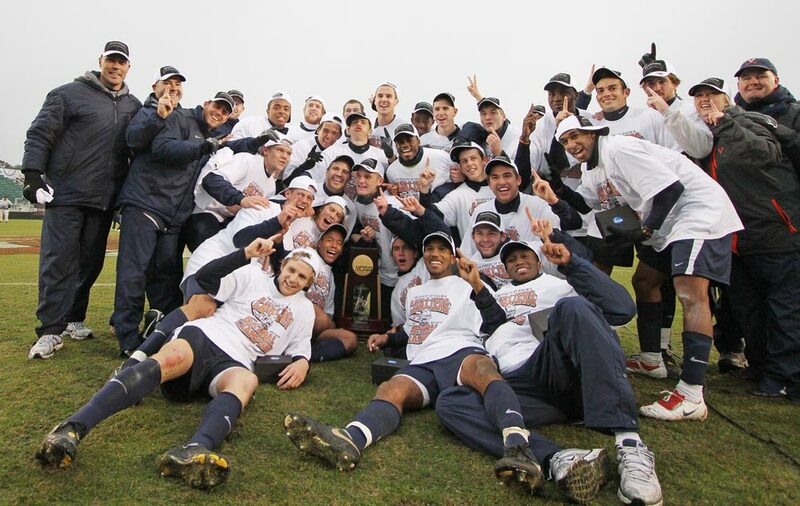 2 men’s soccer team won the program’s sixth national title and first since 1994 with a 3-2 penalty kick shootout win over No. 1 Akron. Midfielder Tony Tchani (Col ’12) and goalkeeper Diego Restrepo (Col ’13) were named to College Soccer News’ All-America first team. State cuts to the University now total $51.5 million over the past three years, and state funding accounts for less than 6 percent of UVA’s total budget. 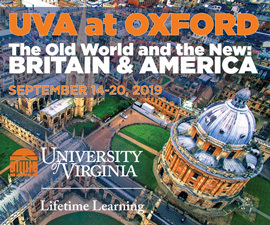 “For the first time in history, an in-state student is now paying more to attend UVA than the state is supplying,” Colette Sheehy, vice president for management and budget, said in November. Top Stories of 2009: The Economy from UVA Magazine on Vimeo. The year began on a sad note with the passing of two of the University’s most influential figures. 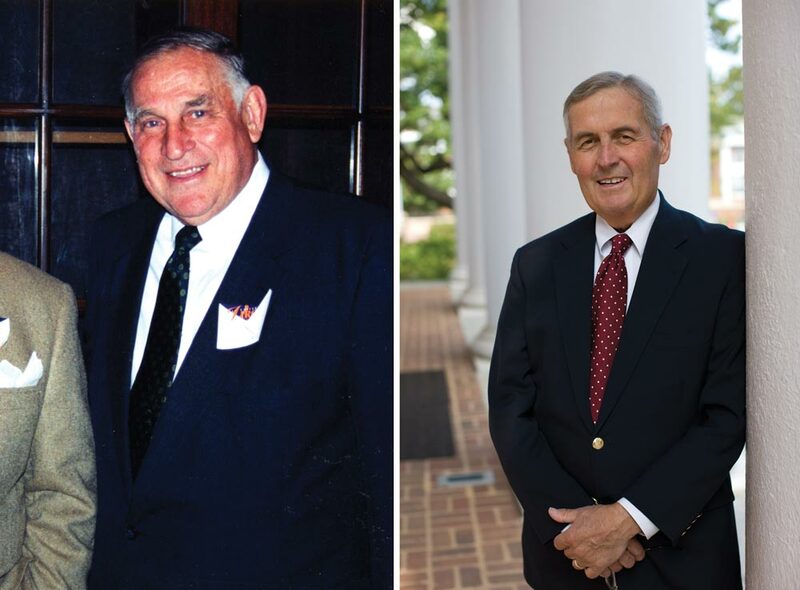 Gilbert J. Sullivan (Com ’48), who retired in 1993 after devoting 45 years to the University of Virginia Alumni Association, including 35 years as its director, died on Jan. 5 at the age of 80. On Jan. 20, John A. Blackburn, dean of admission since 1985, died at the age of 67. More than half of UVA’s living alumni were admitted to the school under his watch. 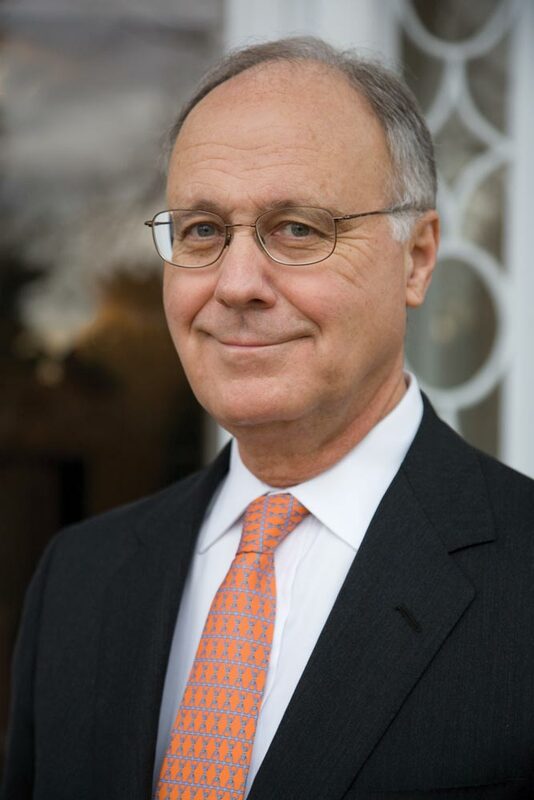 It’s difficult to imagine the University of Virginia without John T. Casteen III (Col ’65, Grad ’66, Grad ’70) at the helm. In fact, 48 percent of all living Virginia alumni were students while Casteen was president. After nearly 20 years in office, Casteen announced in June that he would retire on Aug. 1, 2010. Teresa A. Sullivan will succeed Casteen. Sullivan, who will become UVA’s eighth president in August, is currently the University of Michigan’s provost and executive vice president for academic affairs.